Have you ever had a terribly awkward moment 3 Hilarious Blogs That Will Make You Laugh Without Even Pictures or Videos 3 Hilarious Blogs That Will Make You Laugh Without Even Pictures or Videos The list of ways to entertain yourself on the web is practically endless. Just choose your poison - Facebook, games, news sites, blogs, etc. Blogs that entertain you these days abound – you have probably... Read More in your life? Yeah, yeah. We all have. However, have you ever posted the your awkward personal stories on the Internet? Hopefully not. Granted, I could see it happening in a drunken state, but like I said, hopefully not. There are several sites out on the Internet devoted to the publishing of awkward stories from all over. Some are kind of funny, and some are incredibly cringe-worthy 5 Microsoft Video Ads Sure To Make You Cringe 5 Microsoft Video Ads Sure To Make You Cringe I have ripped on Apple quite a bit here on MakeUseOf in recent weeks. Partly because a company of that size and stature deserves to get taken down a peg or two from time to... Read More . Moving right along the lines with sites such as Awkward Family Photos, these sites are all worth taking a quick look at. Experience Project is designed to draw people together who have had similar bouts with life, and all awkwardness aside, it serves an incredibly legitimate purpose. Are you dealing with a tough health issue? You can check and see if anyone else is going through the same problem with Experience Project. Do you have a personal problem with an ex 6 Reasons It's Better To Date A Geek - The Female Version [Opinion] 6 Reasons It's Better To Date A Geek - The Female Version [Opinion] Not long ago, we all enjoyed James’s 5 reasons it’s better to date a geek. While he made some good points, James made the error of assuming that geek girls are so rare, they’re virtually... Read More ? Experience Project is ready and willing to see if anyone has shared your experience. However, as it always seems to be the case when humans decide to be brutally honest, there is the occasional awkward post featured on this site. Bear in mind what Experience Project’s purpose is, but it can’t hurt to read some items for enjoyment. I’m really not a big fan of the “That Awkward Moment” meme or any “#thatawkwardmoment” Twitter trends. If people would start saying, “Have you ever experienced that awkward moment when…” or “I just had an awkward moment in which…” I would be satisfied, but no. I’m not satisfied, and I never will be. I might as well get over it. However, That Awkward Moment features many of these meme-type statements, and some of them are actually pretty funny. I am willing to bet that most if not all of them are based on true stories, so they are all worth looking at. I wasn’t sure as to whether I should include websites about awkward texts or not, but I came to the conclusion that displaying conversations is merely another form of story-telling, and we shouldn’t leave it out. Now with that being said, are most text conversations found online made up? Likely. As a matter of fact, all of the ones on SmartphOWNED are created with the on-site generator 6 Fun Fake Facebook Walls & How to Create Your Own 6 Fun Fake Facebook Walls & How to Create Your Own Facebook is the leading social network. As such it is a prime target for practical jokes and pranks. However, creating fake profiles and conversations on Facebook is rather tedious. With a bit of skill, imagination... Read More . However, this doesn’t take away from the humor aspect of a lot of them. Furthermore, I’m willing to bet that quite a few are actually based on real-life awkward conversations (just embrace your suspension of disbelief for a little while). Oh, Reddit. With a site that has a population so big and variety of topics so wide, there are bound to be a few awkward comments strewn about the playing field. Sure, you could browse the site for hours and find them yourself, but you could also check out subreddits like r/BestOf and r/WorstOf to find a few out-of-the-ordinary statements. With Reddit, there is the reminder of you aren’t who you really are on the Internet. You can say whatever you want, and no one will judge you. They will only judge the person that is your username. I found another awkward text site, but this time around, it’s all about the parents. Riding under the tagline, “Small keypad, old hands” (which I find to be rather relative), the site features the most awkward statements that parents say via text. Granted, like anything else in this article, I can’t guarantee the validity of every bit of information. However, I can guarantee some laughter 3 Video Games That Actually Made Me Laugh Out Loud [MUO Gaming] 3 Video Games That Actually Made Me Laugh Out Loud [MUO Gaming] Video games have come a long way in terms of telling a story. They have high grade voice actors and cutscenes that occasionally rival at least mid-grade movies. However, the one place video games always... Read More . There are bound to be lots of awkward personal stories found all over these sites, and hopefully, they will provide you with quite a bit of enjoyment. 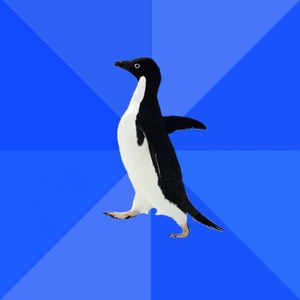 Granted, I could likely create my own site of all the awkward moments that I have ever had, but I’m not sure when I could get around to it. What other sites do you use to read about awkward moments? What are some of your most awkward moments? What about FMyLife? It's still around. FML can be pretty darn funny. Definitely one worth spending some time on.